These two buildings stood alongside the old Guild Hall on Market Place. 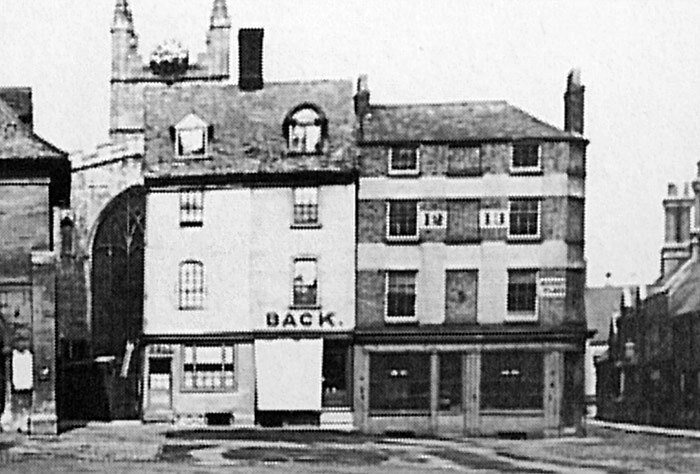 The building marked “BACK” belonged to Chatham, Kent born watchmaker Robert Back who moved with his parents to Grove Street, Fletton in the 1850s. To the left of this building is the premises of William Bell who was a travelling tea dealer. To the right are various city offices including Waterworks Engineer, Overseer & Collector’s Office and Borough Surveyor’s Office.